Did you know that according to survey by the National Pest Management Association and the University of Kentucky calls to pest control companies regarding bed bugs have tripled in the past decade? There are many reasons for this resurgence, but we thought it would be interesting to figure out how these pint-sized pests got here in the first place. Come along with Blue Sky Pest Control on a wild ride into beg bug history – and stay tuned for tips on how to avoid them! The scientific name for the common bed bug is Cimex lecturlarius. In ancient Rome, they were called Cimex, meaning bug, with the designation lecturlarius meaning bed or couch. It’s thought that bed bugs originally fed on bats in caves where early humans resided, and eventually moved on to juicier human prey. Bed bugs have made appearances in ancient Greek plays, Roman philosophic writings, and even the Jewish Talmud. Archaeologists even found fossilized bed bugs in the excavation of a 3,550-year-old Egyptian site! Ships in the 17th century were riddled with bed bugs, and colonists probably brought them along to America in their belongings. There is no Native American word for bed bug, which indicates that they were brought to the New World by colonists. Train travel was the most popular means of transportation for salesmen and other travelers before the advent of cars and airplanes – and bed bugs were happy to come along for the ride. Adding to the problem was the fact that many salesmen and business travelers would stay at run-down properties or boarding houses where bed bugs were present, and they would come back home with them in their luggage. Surveys in the early 20th century showed that nearly 1/3rd of all residences in major American cities were infested. In low-income areas, nearly all residences had been infested at one time or another. If you were living in the early 20th century, the odds were good that you had seen or been bitten by a bed bug. Many factors impacted the rise of the bed bug in the early 20th century, including overcrowding and poor cleanliness standards. Early treatments for bed bug infestations included smoking them out with peat fires, sterilizing furniture with boiling water, sulfur or arsenic, or scattering plant ash around the home. Cyanide fumigation was also a popular treatment in the 1920s, but was linked to many human deaths, as well. In the 1940s, DDT was found to be so effective against the pest that bed bug infestations all but disappeared for nearly 30 years. It was a short-lived reprieve, however, after the Environmental Protection Agency outlawed DDT and other effective chemical treatments like chlordane and diazinon for health and environmental reasons. Bed bugs were once again on the rise in the 1980s. The popularity and widespread availability of domestic and international travel is one reason why bed bugs have been increasing in recent years. 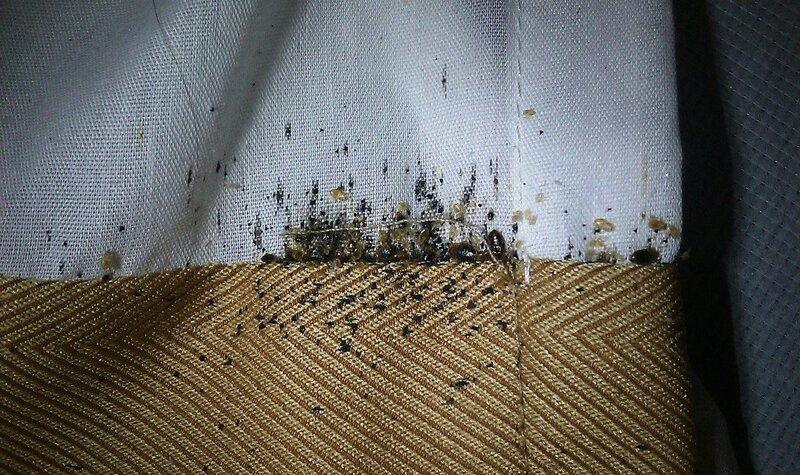 Bed bugs often proliferate in hotels and motels, and travel back with us in our clothes and luggage just as they did in the days of train travel. The resurgence of bed bug infestations was first seen in cities like Miami, New York, San Francisco and Los Angeles. The current increase in bed bug populations has been noted in Canada, the United States, Australia and parts of Europe and Africa. What can you do to avoid bed bugs, and how can you tell if you have them? Avoid buying used furniture or mattresses – or at the very least, check them thoroughly for bed bug carcasses and eggs. Inspect hotel furniture, mattresses and bedding for bed bugs and eggs while traveling. Check the Bed Bug Registry when deciding on a hotel or new apartment. Look for bites on your skin – they sometimes occur in groups, though they can be solitary. The bites are painless and usually occur when you are sleeping. Inspect your mattresses, furniture and bedding for bed bugs and their eggs. Bed bugs are flat, oblong, and about ¼-inch long. Look for dark brown or reddish spots on mattresses, sofa cushions and other furniture and corners if you suspect a bed bug infestation in your home. If you suspect a bed bug infestation, call us – we can help! Bed bugs can be difficult to control without the help of a professional. They require treatment from a pest control professional, as well as the help and cooperation of the homeowner, to be treatment most effectively. Be vigilant and don’t let bed bugs create their own history in your home!